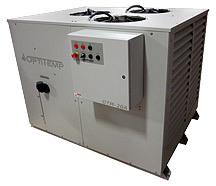 At Opti Temp we specialize in the design & manufacture of innovative chillers for a wide range of commercial, industrial, military and laboratory applications. 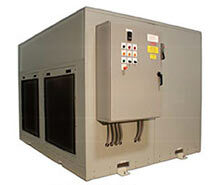 Standard product offerings include several complete lines of high quality recirculating fluid chillers. 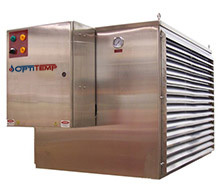 We can assist you in finding just the right standard chiller or heat exchanger products or create a custom chiller or heat exchanger design for your special application. Click here to request a quote. If you prefer to speak to a thermal management product specialist, please call (231) 946-2931 during our normal business hours, Monday - Friday from 8-5 PM (EST) or email information@optitemp.com.